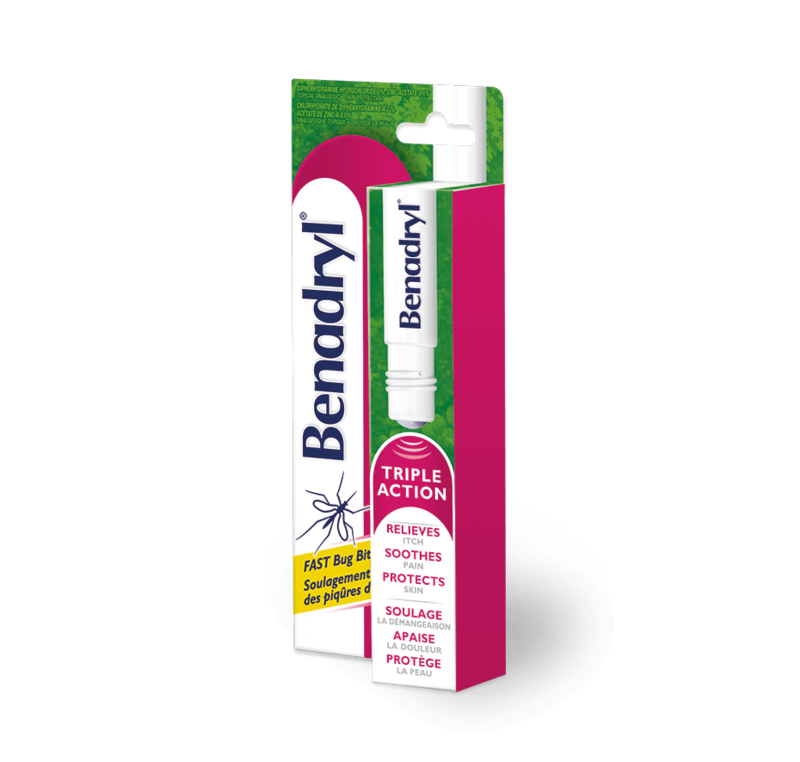 Non-stinging BENADRYL® Itch Relief Stick contains a topical antihistamine/analgesic and a skin protectant to provide fast, effective relief of itchiness and pain due to insect bites and stings. Keep it handy when in your backyard, at your cottage, or on your next camping trip. Shake well. Hold stick straight down over affected skin area and press tip of stick repeatedly until liquid flows, then dab sparingly. Store between 15°C and 30°C. Flammable. Keep away from fire or flame. For external use only. Avoid contact with eyes or other mucous membranes; if this happens, rinse thoroughly with water. Do not apply to broken, blistered, or raw areas of the skin. Do not use on chicken pox, measles, or large areas of the skin. If condition worsens or if symptoms persist for more than 7 days or clear up and occur again within a few days, discontinue use and consult a doctor. Do not use if you are allergic to any of the ingredients in this product. Do not use with any other products containing diphenhydramine, even one taken by mouth. Stop using if burning sensation or rash develops. Do not use if you are pregnant or breastfeeding unless directed by a doctor. Keep out of reach of children. For children (2-12 years): Application should be supervised by an adult. In case of accidental ingestion, contact a doctor or Poison Control Centre immediately. Where can I find more information on BENADRYL® Topical Anti-Itch Products? Call our Call Center at 1-800-661-4659. Like another consumer, my 6 year old son also had blisters develop after using the itch stick. Every mosquito bite we applied it to, devoloped a significant blister. Thanks for letting us know about this. We'd like to learn more about your sons experience. When you can please call us at 1-877-223-9807. We're available M-F from 9AM-5:30PM ET. We hope to talk with you soon. While camping with 2 young children they were both stungs by wasps. One of them had the stinger still in which we removed before applying the bug bite relief. This product was purchased as and alternative to the one we usually purchase. I will be buying this again as it was a much better product. The dabber worked fine after a few dabs on a finger tip. It did initally sting when first applied but the swelling and redness on both children was noticeably reduced within a few minutes. I will definitely have this product in my camping first aid. Thanks for sharing! We'd like to talk with you directly to learn more about this. When you can, give us a call at 1-877-223-9807. We're available M-F from 9AM-5:30PM ET. We hope to talk with you soon! This completely took the itch away, which was amazing and allowed me to sleep after getting eaten alive by mosquitos. I tend to react baddly to bug bites and the usuall ammonia based anti-itch things don't work for me. The liquid came out after a couple of dabs so I didn't have a problem like some others with application. Unfortunately I had an unexpected reaction to the stick where the area dabbed developed blisters and swelling. I couldn't see this listed under cautions so perhaps it's a very rare reaction? I had to stop using it after that. Thank you for taking the time to share your review with us! We're so sorry to hear you had this reaction after using our Itch Stick. When you have a moment, please give us a call at 1-877-223-9807 so we can learn more about your experience and help to make this right. You can reach us Monday-Friday from 9A-5:30P ET. We hope to hear from you soon! This stuff really does help to relieve the itch of annoying mosquito bites. I’ll be ready to scratch a bite raw, but within minutes of applying this the itch goes away. What I really dislike about this product however, is how difficult it is to dispense. I have to press hard repeatedly to get any of the liquid out onto my skin. It takes a lot of work to apply a sufficient amount of it. I would recommend this product, but I’d also recommend a redesign of the dispenser. Thank you for reaching out and sharing your review with us. We're sorry to hear our itch stick was difficult to dispense, this is definitely not what we'd expect. When you have a moment, please give us a call at 1-877-223-9807 so we can learn more about your experience and help to make this right. We're available Monday through Friday from 9A to 5:30P ET. We hope to hear from you soon. Awful, hard to use, no relief!! I bought this because I couldn't find what I normally buy (I won't say here). The piece used to apply is so far into the tube you can't even press it for anything to come out. I nearly scraped my skin off trying to apply it and then when I did get some out it didn't do anything to take away the itch. We're sorry to hear that our product didn't give you relief. 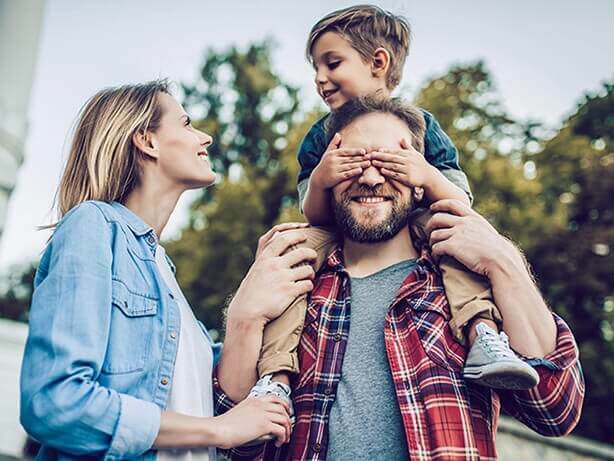 We'd love to learn more about your experience and see how we can help make it easier in the future. Please give us a call at 1-877-223-9807, we're available Monday through Friday from 9am-5:30pm ET. Thanks for sharing your feedback and hope to hear from you soon! bought stick very disappointed. very hard to get liquid out, no matter how much I pushed it. Hi there! 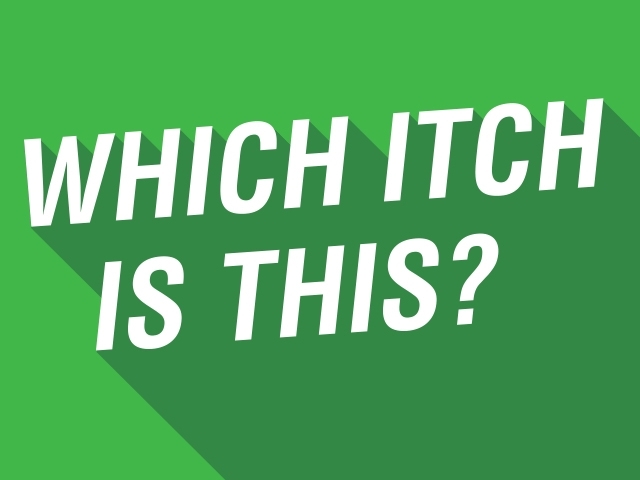 We’re sorry to hear you’re having difficulty dispensing our Itch Relief Stick and we’d appreciate the opportunity to learn more about this to see what we can do to help. When you have a moment, please call us at 1-877-223-9807 between the hours of 9:00AM – 5:30PM ET, Monday – Friday. We hope to hear back soon! Have been putting it on mosquito bites and getting no relief from the itch at all. Container is great. Thanks for taking the time to leave a review! We'd like to chat a bit more and see what we can do to help. Please give us a call on 1-877-223-9807. We're free between 9am and 5:30pm ET Monday-Friday. We're sorry to hear this. This is definitely not up to our quality standards. We'd like to learn more and help. Please call us at 1-877-223-9807. We're available Monday-Friday from 9AM-7PM ET. Thanks, we look forward to talking with you.